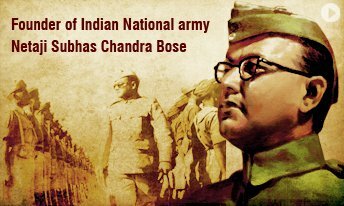 Nation pays homage to "Netaji Subhash Chandra Bose on his 120th birth anniversary"
Nation pays homage to Netaji Subhash Chandra Bose on his 120th birth anniversary on 23.01.2017. It was on this day in 1897, Netaji was born in Cuttack, Odisha. A number of functions have been organised in different parts of the country to mark the occasion. In Delhi, floral Tributes will be paid to Netaji Subhash Chandra Bose in the Central Hall of Parliament. Tamil Nadu govt issues "New guidelines for safe conduct of Jallikattu"
The Tamil Nadu government has issued a new set of stringent guidelines, including CCTV surveillance and medical examination of bulls, to ensure a safe conduct of Jallikattu. As per a circular sent to the district administrations and organisers of the bull-taming sport, the names of participants and bulls should be registered and a team of officials should monitor the events. The bulls should be rested at least for 20 minutes before being released into the sporting arena, and they will be examined by the veterinarians. The bulls should be given 60 square feet of space, and the owner of the animal should stand by it to give it a sense of security. Jallikattu was held in most parts of the state 21.07.2017, yesterday following the promulgation of Centre's ordinance to resume the sport. Two people were killed and many others injured. The State Assembly will meet in Chennai on 23.01.2017 and a Bill to replace the ordinance is expected to be passed. This is the first session of the Assembly after the demise of former Chief Minister J Jayalalithaa. Meanwhile, pro-Jallikattu protesters are continuing their agitations for the seventh day today at Chennai's Marina Beach and several other locations. They are urging a permanent solution to the issue, saying the ordinance route is an ad hoc measure. However, reports from a few other locations say that protesters have dispersed expressing satisfaction over the resumption of the sport. The Union Government has Tamil Nadu government’s proposal to promulgate an ordinance to hold Jallikattu, a traditional bull taming sport. The Union Ministries of Home, Law and Environment has vetted the state’s draft ordinance and cleared the amendment. Now, Tamil Nadu Governor can promulgate ordinance as per Article 213 of the constitution. t was mandatory for Tamil Nadu government to get a nod from the Centre as subject in this regard was falling in the Concurrent list of the Constitution. The ordinance will denotify the bull from the list of performing animals. This will ensure that provisions of Prevention of Cruelty to Animals Act (PCA), 1960 will not apply to the bull. 17 States and 6 Central Ministries to showcase their "tableaux in Republic Day Parade – 2017"
This year Republic Day Parade on Rajpath will witness tableaux from 17 States and Six Ministries of the Central Government. These tableaux will showcase varied themes starting from country’s rich cultural heritage and socio-economic development to nation’s progress in key areas like IT, Women, Empowerment and Environment Protection. Bread, chips and potatoes should be cooked to a golden yellow colour, rather than brown, to reduce our intake of a chemical which could cause cancer, government food scientists are warning. Acrylamide is produced when starchy foods are roasted, fried or grilled for too long at high temperatures. The Food Standards Agency recommends carefully following cooking instructions and avoiding browning. The FSA also says potatoes should not be kept in the fridge. This is because sugar levels in the potatoes rise at low temperatures, potentially increasing the amount of acrylamide produced during cooking. Union Govt. sets up a committee to frame "uniform rules for proper implementation of Rights of Persons with Disabilities Act"
The Centre has formed a committee to frame uniform rules for the states to avoid delay in proper implementation of the Rights of Persons with Disabilities Act across the country. The Committee, constituted under the chairmanship of Secretary, Department of Empowerment of Persons with Disabilities will comprise representatives from the Ministry of Health, DoPT, Labour, Legislative Department, and representatives from NGOs as members.It will also have Principal Secretary/Secretary, Social Welfare Department from Gujarat, Karnataka, Odisha, Madhya Pradesh, Assam and Uttar Pradesh. A senior Social Justice and Empowerment ministry official said, all the representatives of Ministries will be the rank of Joint Secretary and above, and the committee will submit its report within three months. Bengal claimed the Under-19 Cooch Behar Cricket Trophy for the 2016-17 season. Bengal emerged winner by virtue of a 79-run first-innings lead in the drawn final against Delhi at the Feroz Shah Kotla Stadium in New Delhi yesterday. The last time Bengal won the title was way back in 1997-98 season. Union Government "constitutes negotiation committee on Mahanadi and its Tributaries"
The Union Ministry of Water Resources has constituted negotiations committee to assess availability and utilisation of waters of Mahanadi and its tributaries to resolve disputes over sharing of river waters among five states. These five states are Odisha, Chhattisgarh, Madhya Pradesh, Maharashtra and Jharkhand. The committee will be chaired by member (water planning and projects) of the Central Water Commission (CWC). It will have 11 other members comprising representatives from the state governments. Union Government awarded "Rs. 60.9 crore as prize money for digital payments"
The Union Government so far has awarded Rs. 60.9 crore as prize money to over 3.81 lakh consumers and 21,000 merchants under its two lucky draw schemes – Lucky Grahak Yojana and Digi-Dhan Vyapar Yojana. The winners included small farmers, anganwadi workers, housewives and labourers and most of the winners were in the age group of 21-30 years. Maharashtra, Tamil Nadu, Andhra Pradesh, Uttar Pradesh and Karnataka have emerged as the top five states with the maximum number of winners Both of these schemes were announced in December 2016 to boost digital payments post demonetisation. They aimed at incentivising the consumers and the merchants to promote digital payments. They will remain open till April 14, 2017. The 2016 National Bravery Awards winning children called on the President of India, Shri Pranab Mukherjee at Rashtrapati Bhavan today on January 21, 2017.The scheme of National Awards for Bravery was started by Indian Council for Child Welfare (ICCW) to give due recognition to the children who distinguish themselves by performing outstanding deeds of bravery and meritorious service and to inspire other children to emulate their example. Those are a set of awards given annually to about 25 Indian children for "meritorious acts of bravery against all odds." The awards are given by the Government of India and the Indian Council for Child Welfare (ICCW). The award was instituted in 1957. The National Bravery Awards consist of five categories, which are listed below. The awards are given to children who were between the ages of six to eighteen when they committed their acts of bravery.The award includes a medal, a certificate, and a cash prize. The Bharat Award winner gets a gold medal, while the rest get a silver medal. Each child is also given financial assistance to complete his or her schooling, as a part of ICCW's sponsorship program, under the Indira Gandhi scholarship scheme. In 2009, the Government of India announced it was reserving some seats in medical, engineering and polytechnic colleges for the winners of the awards.